Welcome to your new favorite easy chocolate party dessert. This deep and luscious custard-style pudding is made almost entirely in a blender with no need for stirring over a hot stove. It takes literally about 5 minutes to prep and can be served immediately, or prepared in advance to serve one or two days later. MUCH easier than any kind of instant chocolate pudding, and the taste goes far beyond anything you'd ever get out of a box. Your party guests will absolutely love this dessert. 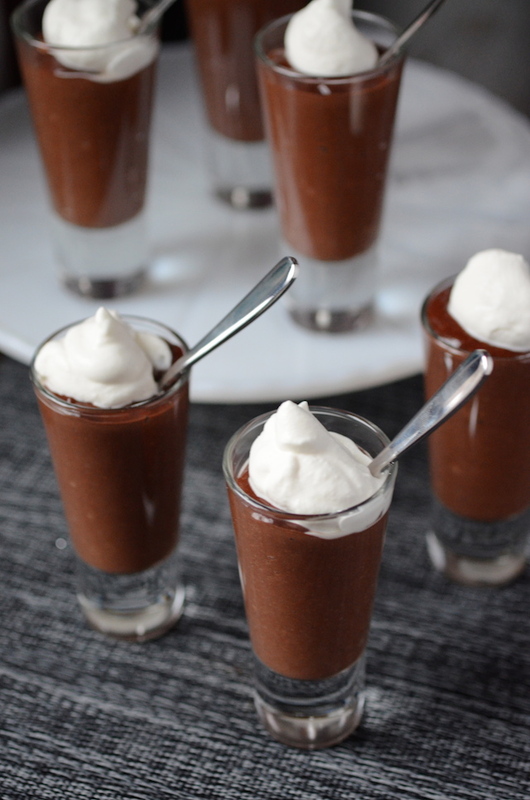 Similar in style to my Dark Chocolate Peanut Butter Blender Pudding and my Chocolate Guinness Pots de Creme, this version is served in shot glasses and topped with unsweetened whipped cream for an elegant and fun individual dessert to serve at cocktail or dinner parties. This is a basic recipe that you should feel free to have fun with. Replace the vanilla extract with orange or mint extracts for a totally different twist. 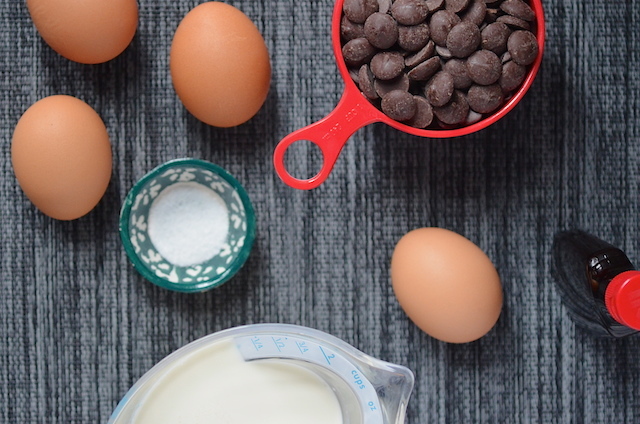 The hot cream is boiled then immediately poured into the blender--this cooks the eggs and melts the chocolate, so you get a beautiful silky pudding without having to stand at the stove stirring. The blender does the work for you! I also recommend playing around with the garnishes! I kept them simple here with just a sprinkle of flaky salt, but fresh raspberries, candied orange or ginger, or even small candies like m&m's or red hots would be fun additions to personalize for parties and events. Oh and just as a tip, when serving desserts like this in small shot glasses, I recommend serving with mini espresso spoons that can easily fit inside the shot glasses. You can find them at any kitchen supply store like Williams Sonoma or Sur la Table, or online. 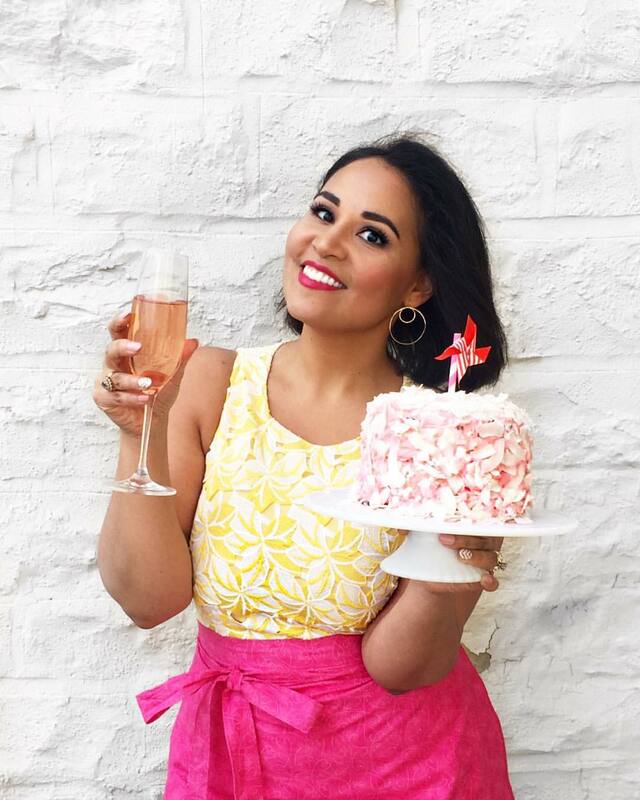 Loved this recipe? Let's connect so you can find out the next time I post! Follow me on Twitter, Instagram, or Pinterest, become a fan on Facebook, or sign up to receive my once-a-week e-mail updates. Thanks so much for reading! The heat from the boiling hot cream cooks the eggs in this recipe sufficiently, but if you’d like to be extra-cautious, you can use pasteurized eggs (also known as “safe eggs”). 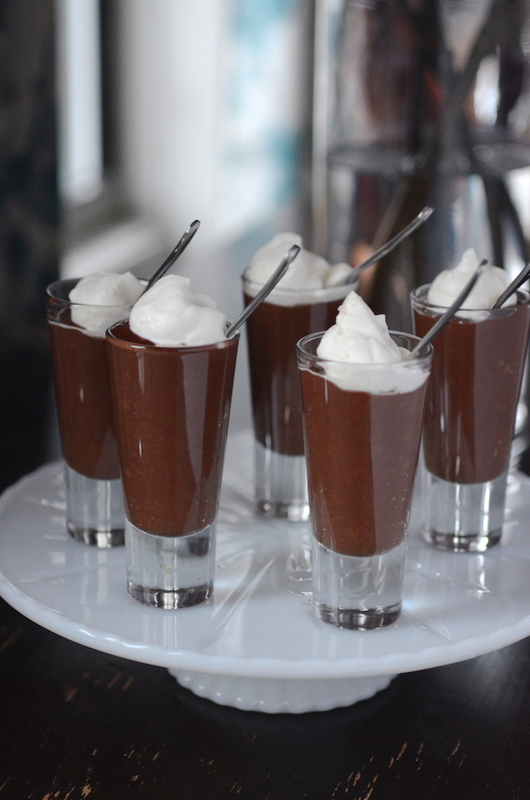 Served in individual shot glasses with mini spoons, these make a perfect cocktail party dessert. Combine both kinds of chocolate chips, eggs, salt, and vanilla in a blender and puree for 2-3 minutes or until chocolate is finely chopped and combined well with other ingredients. Heat 1 cup of the heavy cream in a small saucepan over medium heat just until bubbles start to form around the edges. 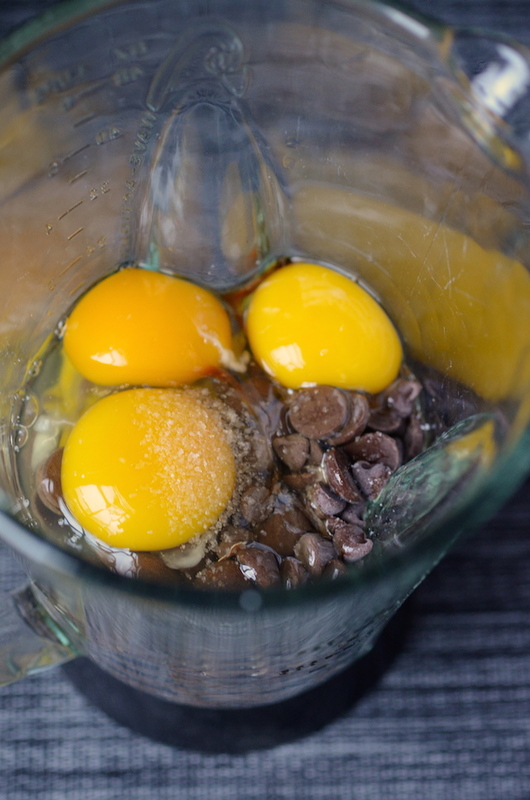 Immediately pour hot cream into blender with chocolate (you want the cream to be hot to cook the eggs and melt the chocolate). Cover and puree 3 minutes, until pudding is smooth and silky. Add the kahlua, if using, and puree again for 30 seconds. Divide pudding into shot glasses. Whip remaining ½ cup heavy cream until it doubles in volume and holds stiff peaks. Top each shot glass with a dollop of whipped cream. Garnish with flake sea salt, if desired. 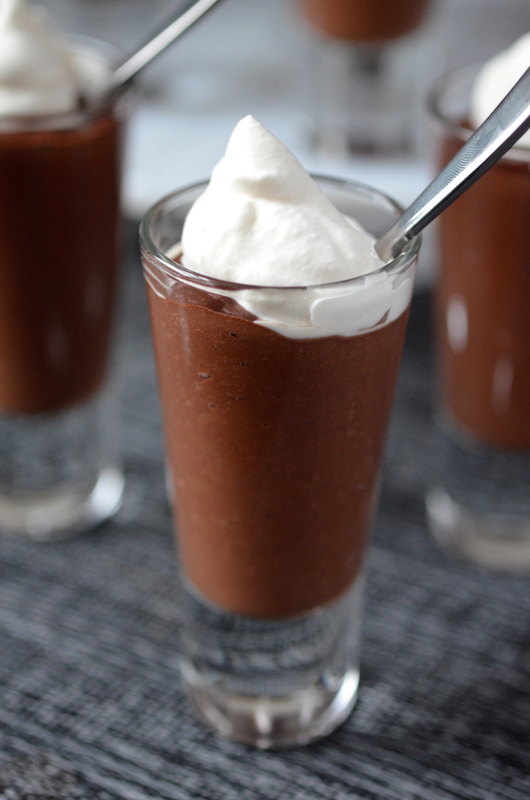 NOTE: Pudding shooters can be served immediately, or covered and held in refrigerator for up to 24 hours. They will thicken when cool, and can be served that way, or let come back up to room temperature for an hour before serving for a softer pudding. Either way, wait until just before serving to add the whipped cream.